In rural north Georgia two decades after the Civil War, thirteen-year-old Lulu Hurst reaches high into her father's bookshelf and pulls out an obscure book, The Truth of Mesmeric Influence. Deemed gangly and undesirable, Lulu wants more than a lifetime of caring for her disabled baby brother, Leo, with whom she shares a profound and supernatural mental connection. "I only wanted to be Lulu Hurst, the girl who captivated her brother until he could walk and talk and stand tall on his own. Then I would be the girl who could leave." Lulu begins to "captivate" her friends and family, controlling their thoughts and actions for brief moments at a time. After Lulu convinces a cousin she conducts electricity with her touch, her father sees a unique opportunity. 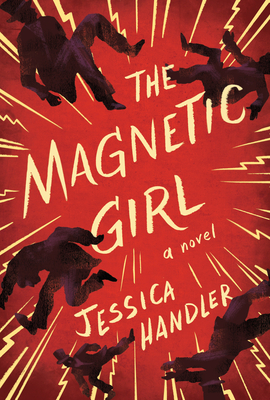 He grooms his tall and indelicate daughter into an electrifying new woman: The Magnetic Girl. Lulu travels the Eastern seaboard, captivating enthusiastic crowds by lifting grown men in parlor chairs and throwing them across the stage with her "electrical charge." While adjusting to life on the vaudeville stage, Lulu harbors a secret belief that she can use her newfound gifts, as well as her growing notoriety, to heal her brother. As she delves into the mysterious book's pages, she discovers keys to her father's past and her own future--but how will she harness its secrets to heal her family? Gorgeously envisioned, The Magnetic Girl is set at a time when the emerging presence of electricity raised suspicions about the other-worldly gospel of Spiritualism, and when women's desire for political, cultural, and sexual presence electrified the country. Squarely in the realm of Emma Donoghue's The Wonder and Leslie Parry's Church of Marvels, The Magnetic Girl is a unique portrait of a forgotten period in history, seen through the story of one young woman's power over her family, her community, and ultimately, herself. Jessica Handler is the author of Braving the Fire: A Guide to Writing About Grief and Invisible Sisters: A Memoir, which was named one of the "Twenty Five Books All Georgians Should Read" and Atlanta magazine's "Best Memoir of 2009." Jessica writes essays and nonfiction features that have appeared on NPR, in Tin House, Drunken Boat, Full Grown People, Brevity, Newsweek, The Washington Post, and More Magazine.